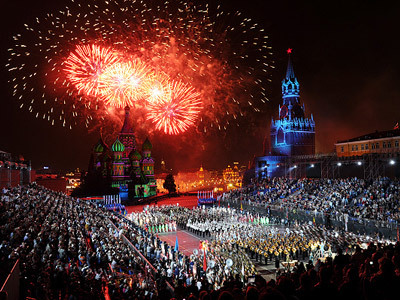 Moscow finished celebrating its 864th birthday with a unique 4D light show which may even enter the Guinness Book of World Records. 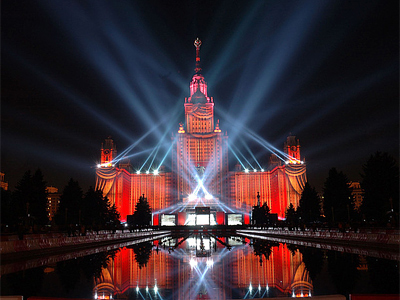 ­For one evening, Moscow State University on Sparrow Hills was turned into a huge 25,500-square-meter screen – the façade of the building itself – onto which a grand light and video show was projected. The author of the light spectacular is Australian David Atkins, who masterminded the opening ceremonies for the Summer Olympics in Sydney in 2000 and the opening and closing ceremonies of the Vancouver Winter Games last year. He and his team spent six months on preparations. Atkins played with the façade, creating and deconstructing iconic images and Russian masterpieces, and scenes of nature and technology. Two hundred trucks brought all the necessary equipment from Russia and several other countries. Forty giant light projectors that can illuminate the sky for more than one kilometer were also brought in, as were 81 hi-tech projection units. It was not an easy task to transform the university, Atkins told RT. 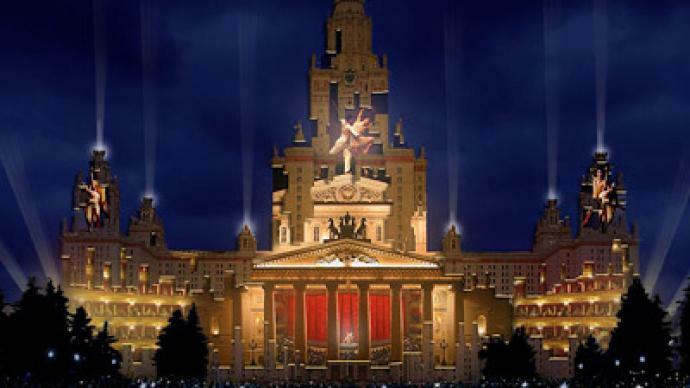 With the show, all Muscovites got the opportunity to complete an imaginary journey from the capital to different worlds – real and imagined. In seconds, the university building was covered with ice, turned into a giant aquarium, a spaceport, completely disappeared and was built over again. Sparrow Hills for a moment even turned into the Eiffel Tower and Big Ben. All that became more amazing when the man known as “the French Spider Man,” the world’s most famous urban free climber, Alain Robert, climbed the university building during the event. To the audience’s eyes, he climbed the building and destroyed the university with a hammer. Imaginary boulders scattered in all directions. According to media reports, approximately 600,000 people attended the show.